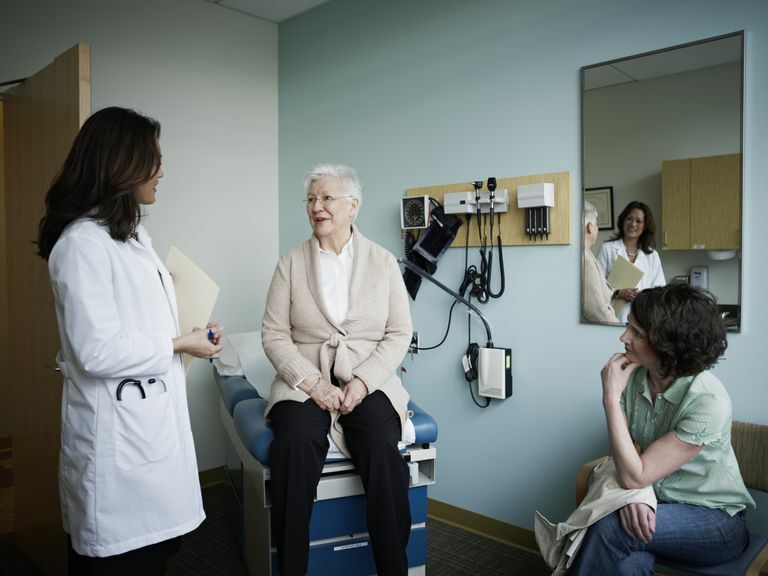 What Is Your Doctor Looking for When Examining You for Parkinson's? There's no "gold standard" test that will diagnose Parkinson's disease — instead, physicians rely on their own clinical observation and judgment along with the patient's description of possible signs and symptoms in order to make the diagnosis. That, of course, makes a physical examination very important in the diagnosis process. A trip to the neurologist’s office often includes what seems like dozens of questions, along with multiple tests. But what exactly are physicians looking for in a physical exam that helps to confirm a diagnosis of Parkinson's disease? In fact, much of your doctor's examination will be aimed at assessing whether you have the so-called cardinal signs of Parkinson's: resting tremor, bradykinesia (slowness of movement) and postural instability (impaired balance). Here's how doctors often look for these signs. Resting tremor often is the first symptom of Parkinson's disease. Your doctor likely will watch for it in your hands when you're seated with your arms relaxed and your hands in your lap — in other words, when you're resting. Sometimes, particularly early in the disease, patients need to be distracted (for example, by counting backward from 10) in order to bring out this tremor. In addition to resting tremor, your doctor will watch for postural tremor, which occurs when your arms are in an outstretched position. She may also look for kinetic tremor, which occurs with voluntary movement and is usually assessed by the finger-to-nose test (where the patient touches their nose with their index finger and then touches the examiner’s finger which changes positions with each try). Although resting tremor is expected in Parkinson's disease, many people with the condition have a combination of these different types of tremors. This Parkinson's disease symptom, called "bradykinesia" by doctors, occurs in most people who have the condition. It may cause a lack of spontaneous facial expressions and fewer eye blinks per minute than usual, and your doctor will look for these signs in your physical exam. Your doctor also may assess speed of movement by asking you to open and close each hand or tap your index finger against your thumb repeatedly, making large movements as quickly as possible. In people with Parkinson's disease, the movement may start off fast and precise, but it will deteriorate quickly, becoming slow and limited. Gait is also another way to test for this. Observing a patient while they walk, noting the length of their stride as well as the speed at which they move, can tell doctors quite a bit. Lack of arm swing is also a feature that appears fairly early in those with Parkinson's. Doctors also look for rigidity (another sign of Parkinson's) by moving the joints in your elbows, wrists, knees, and ankles to see if there's resistance. The resistance may be smooth or may appear as slight hesitations in movements, known as cogwheeling. This is sometimes made more obvious by the patient actively moving the opposite limb. Impaired balance (what doctors call "postural instability") usually occurs later in the disease and is a significant source of disability for patients. To test for this, your doctor will quickly and firmly pull back on your shoulders while standing behind you. Taking one to two steps backward in order to regain your balance is a normal response, while anything more may indicate the presence of this debilitating symptom. This is by no means a comprehensive list of tests that an experienced movement disorder specialist uses to assess a patient, but these are the more common tests that you may undergo during a physical exam to diagnose Parkinson's disease. Knowing what your doctor is looking for in these tests may help make the diagnostic process a bit easier. Berardelli A et al. Pathophysiology of bradykinesia in Parkinson's disease. Brain. 2001 Nov;124(Pt 11):2131-46. National Institute of Neurological Disorders and Stroke. Tremor fact sheet. Accessed Feb. 17, 2016. National Parkinson Foundation. Postural Instability fact sheet. Accessed Feb. 17, 2016. What Does It Mean When Your Limb Cogwheels in Parkinson's Disease?